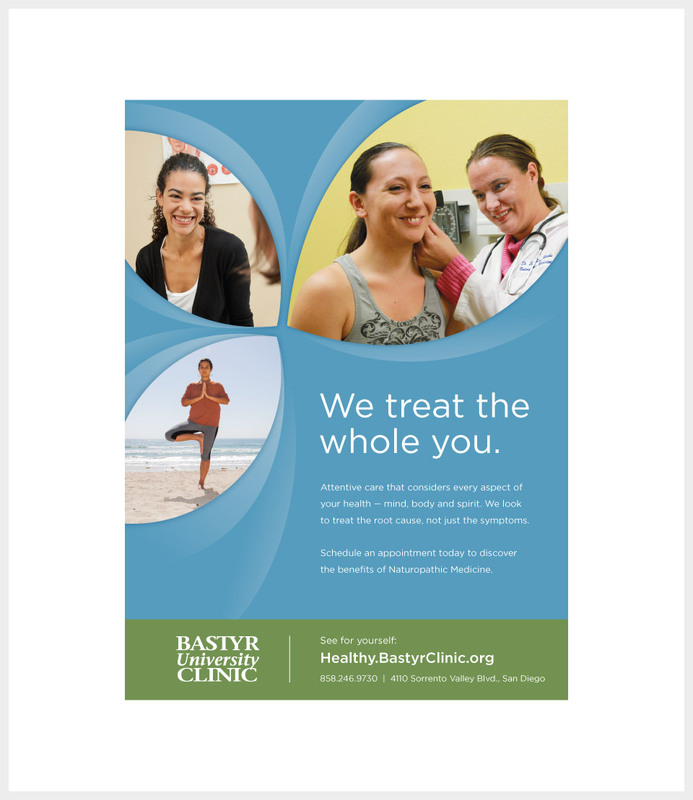 Bastyr University was in need of an ad campaign to help promote its two teaching clinics, the Bastyr Center for Natural Health and Bastyr University Clinic. A campaign strategy was chosen which focused on the key benefit of individualized treatment based in natural medicine. A design concept was then developed using leaf shapes containing images of happy patients along with the headline, “We treat the whole you.” This concept and the accompanying message communicated the clinic’s individualized and holistic approach based in natural medicine. The result was a successful campaign that was extended to pieces beyond the campaign which were used to promote Bastyr University’s clinics. The horizontal version of the ad designed for placement on buses. 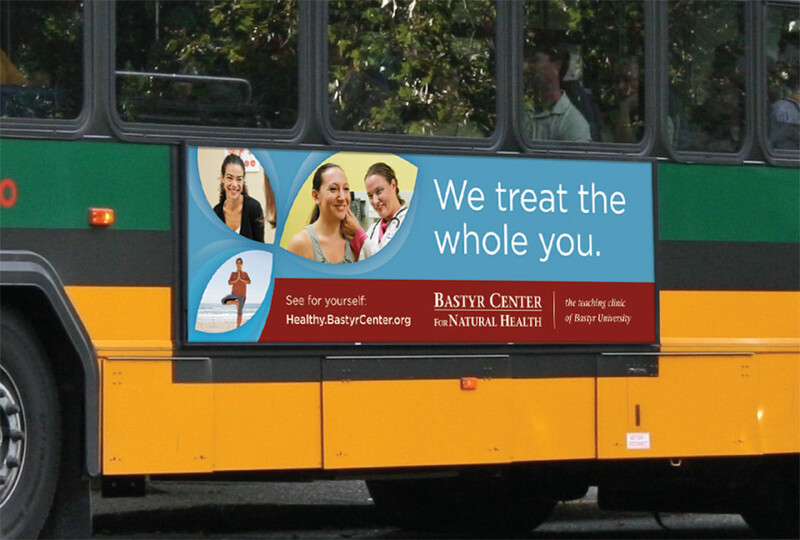 The full page version of the ad created for Bastyr Center for Natural Health located in Seattle, WA. The full page version of the ad created for Bastyr University Clinic located in San Diego, CA. 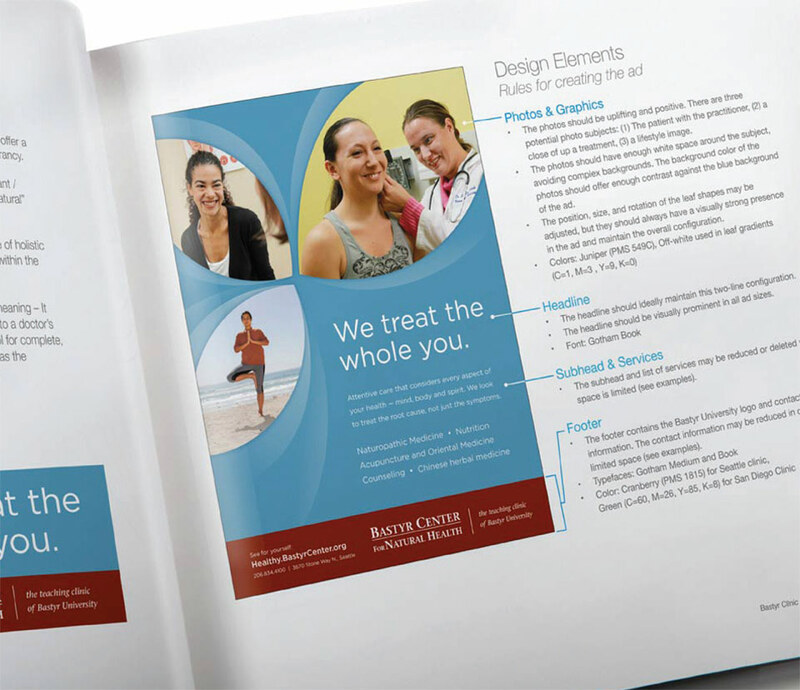 A campaign guideline was created which provided detailed specifications for Bastyr University’s design team to implement the campaign.